Startling new evidence of one of the most famous ancient sites in the world has been uncovered by a mid-Somerset archaeologist – without setting foot on site. Wells-based digital archaeologist Henry Rothwell has been working on a reconstruction of the entire site of Stonehenge, to show visitors what it would have looked like at various intervals in its long history. It was when he turned his attention to recently discovered Bluehenge, sited between Stonehenge and the river Avon, that he made the startling discovery – it would not have been a circle at all but an oval. If correct, Bluehenge would echo the oval circle already known to be at the centre of the famous Stonehenge. And it raises an intriguing possibility: did the neolithic builders uproot Bluehenge, drag it a mile up the avenue and reconstruct it within Stonehenge itself? It is certainly a possibility, according to Henry, who is a very modern-day archaeologist. Any fan of TV archaeology programmes such as Time Team know that archaeologists are usually found in ditches, using trowels to peel back the layers of time to uncover the secrets of the past. 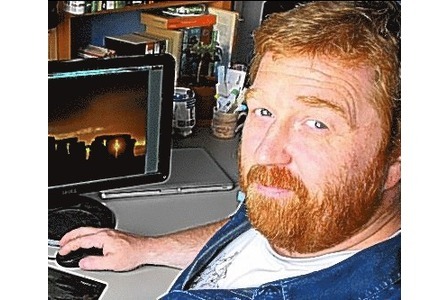 He might have a degree in archaeology but it is a computer mouse that is his chosen tool of trade as he sets about bringing back to life some of the most famous sites in the world from the comfort of his office chair at his base in Wells. Thanks to his popular website Digital Digging, his reconstructions of wood and stone henges have helped archaeologists and the general public to visualise how such monuments would have once looked. Using his extensive knowledge of prehistory, pouring over excavation reports and using CAD technology, he tracks where each stone or wooden post would have been and constructs diagrams showing how each monument would have looked set into the ancient landscape. The latest breakthrough at Bluehenge came as he worked on a new initiative, to make a digital application for people to view Stonehenge via their mobile telephones. Henry has joined forces with world-renowned photographer Adam Stanford, who uses a camera attached to a 70ft telescopic mast on the top of a 4×4 to take unique perspectives of famous sites, and well-known archaeologist, writer and broadcaster Julian Richards, from TV’s Meet The Ancestors to produce the app. It was as they were working on The Journey To Stonehenge app – which it is hoped to be ready for iPhones and other smartphones by the mid-winter solstice – that Henry and Adam made the discovery. “We were using a low-level aerial image taken by Adam that showed the full extent of the Stonehenge Riverside Project excavation of 2009, including the socket holes of Bluehenge, into which the Stonehenge Riverside Project team had placed upturned black buckets,” explained Henry. “We started constructing the model, but then realised we had missed another bucket on the far right. Initially we tried expanding the circumference to make it fit but it would have been put Bluehenge into the river. The new monument was 10m (33ft) in diameter and surrounded by a henge – a ditch with an external bank. When the Bluehenge’s stones were removed by Neolithic people, it is possible that they were dragged along the route of the Avenue to Stonehenge, to be incorporated within its major rebuilding around 2500 BC. After posting his findings on archaeological websites last week, Henry’s views soon received the backing of influential archaeologists. One of the first was renowned Stonehenge expert Mike Pitts, who explained that it matters if it is oval because it strengthens links between Bluehenge, Stonehenge and Woodhenge which also has an oval henge. “The point is, if Bluehenge was an oval, it matters to how we think about it,” he wrote. To see the Bluehenge reconstruction and read more see Henry’s http://digitaldigging.co.uk/blog/2011/09/13/bluestone-henge-twin website. 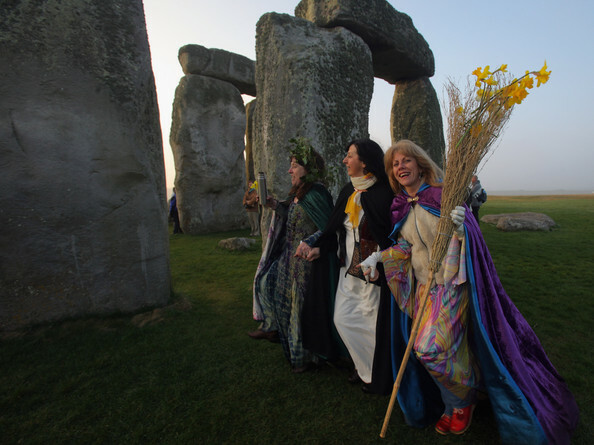 2011 Autumnal Equinox takes place on September 23rd, at 10.04am UK time (3.03 UTC), but when ‘open access’ to Stonehenge starts is decided by English Heritage and depends on visibility. The sunrise is at 6.48am. Stonehenge Architect Linked With Welsh Burial Cairn? An impressive tomb discovered in Wales is believed to belong to an important figure involved with the construction of Stonehenge. The burial chamber is located in the Preseli Hills in Pembrokeshire, Wales, and sits on top of a ceremonial monument. Nearby, a pair of standing stones embedded in a bank bear a strong resemblance to the pair-arrangement of the stones at Stonehenge, the famous prehistoric monument in Wiltshire, southern England. Stonehenge features earthworks encompassing a circular arrangement of large standing stones. These are mainly two types of rock—the large sarsen stones (a type of sandstone), and a variety of smaller igneous rocks called bluestones (natural columns of while-spotted dolerite). 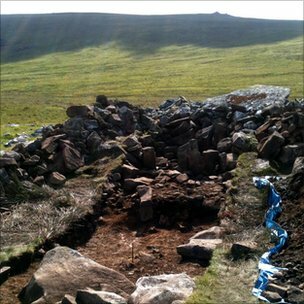 The excavation of the tomb in the Carn Menyn region of west Wales was led by Tim Darvill from Bournemouth University, and Geoffrey Wainwright from the Society of Antiquaries. The archeologists believe the 80 bluestones at Stonehenge originated from the same area as the tomb and were transported around 160 miles (nearly 260 kilometers) to the Wiltshire plains about 4,500 years ago (around 2,300BC). Darvill and Wainwright first suggested in 2008 that Stonehenge may have been built as a major healing center, rather like a prehistoric version of Lourdes or Santiago de Compostela. They think the bluestones, not the sarsen, were believed to convey healing powers. The Preseli area has many springs linked with ritual healing in prehistory, and this could explain why the bluestones were quarried for Stonehenge, despite being so far away. The excavation team discovered a stone circle underneath the cairn, built of bluestone, and organic material is being carbon dated. “We have obviously got a very important person who may have been responsible for the impetus for these stones to be transported,” Wainwright BBC News. Stonehenge is the best known of all the prehistoric monuments in the British Isles and probably also in Europe. Along with the Neolithic monuments around Avebury situated 28km to the north, it forms a UNESCO recognised World Heritage Site (WHS), the parts of which are separated by the southern edge of the Marlborough Downs, Pewsey Vale and the Salisbury Plain military training area. Much of the Avebury portion of the WHS, along with the military ranges, has been investigated from an archaeological landscape perspective during recent decades, as has the area to the south and west of the WHS, but ironically the Stonehenge area has not been treated in this way and it lacks the solid base of landscape surveys on which to build interpretations and understanding. The fresh Government-led imperative to ensure that new visitor facilities are in place by 2012 demands the provision of modern archaeological site plans, interpretations and other data which can feed into educational and presentational programmes as well as serving academic, management and conservation needs. 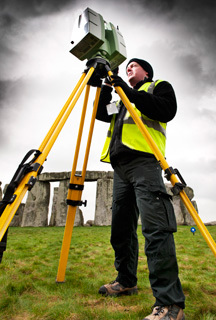 English Heritage are therefore undertaking an analytical landscape investigation of the Stonehenge World Heritage Site. This draws upon the considerable existing work provided by excavation, aerial, metric and geophysical survey but it fills a gap in this suite because there has been no modern detailed survey of the earthworks and other upstanding historicphysical remains within the Site – the barrow cemeteries, field systems and linear ditches, but also the tracks, ponds and military remains of more recent date. Consequently there are no adequate plans of most of the upstanding archaeological remains within the WHS and no synthesis of the landscape history, especially in regard to its medieval and post-medieval phases. Analytical earthwork survey and analysis,supported by aerial survey and lidar data, is the key to understanding landscape change and will provide the framework in which individual small-scale site specific interventions can rest. Recommendations for other work, eg geophysical survey or coring to explore the extent of buried land surfaces, may arise from this. The most visible exploding star in a generation will be visible in skies above Stonehenge tonight. 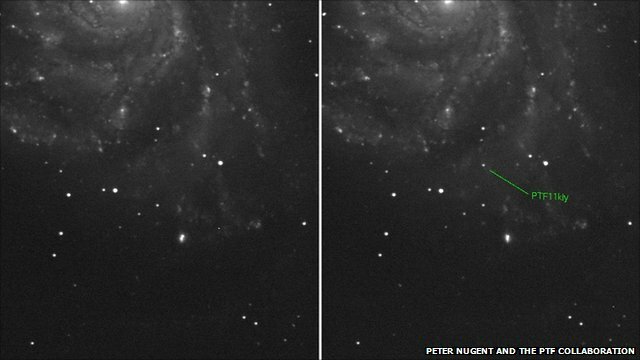 Dubbed PTF11kly the supernova is still getting brighter and should be visible with a good pair of binoculars today. Blink and you might miss it, but the canopy of the night sky looks ever so slightly different today. A single bright spark has been added to the millions of brilliant white dots illuminating the inky blackness. Supernovae occur when giant stars reach the end of their life collapsing in on themselves and triggering an explosion that can briefly outshine an entire galaxy before fading away over a period of weeks or months. The team, lead by Dr Mark Sullivan, made the discovery using a robotic telescope at the Palomar Observatory. The geomagnetic field is expected to be quiet on September 6 and most of September 7. Late on September 7 or early on September 8/9th the CME from the major flare early on September could reach Earth and cause active to major storm conditions. The last time a supernova of this type occurred so close was 1972. Before that you have to go back to 1937, 1898 and 1572.
construct the first stone phase of the henge were quarried in 2300BC. Organic material from the site will be radiocarbon dated, but it is thought any remains have already been taken. Archaeologists believe this could prove a conclusive link between the site and Stonehenge. The remains of a ceremonial monument were found with a bank that appears to have a pair of standing stones embedded in it. The tomb, which is a passage cairn – a style typical of Neolithic burial monument – was placed over this henge. The link between the Welsh site and Stonehenge was first suggested by the geologist Herbert Thomas in 1923. This was confirmed in 2008 when permission was granted to excavate inside the stone circle for the first time in about 50 years. The bluestones had been transported from the hills over 150 miles to the plain in Wiltshire to create Stonehenge, the best known of all Britain’s prehistoric monuments. 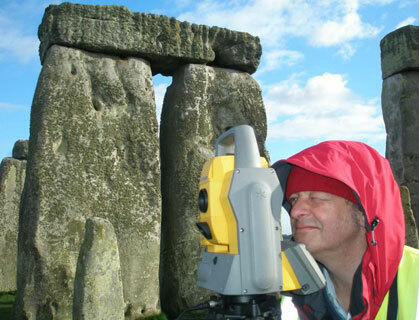 Two of the leading experts on Stonehenge, Prof Geoff Wainwright and Prof Timothy Darvill, have been leading the project. They are now excavating at the site of a robbed out Neolithic tomb, built right next to the original quarry. They knew that the tomb had been disturbed previously, so rather than excavate inside, they placed their small trench along its outer edge. There are many springs in the area, which may be have been associated with ritual healing in prehistoric times, and also the reason why these particular stones were quarried for another monument so far away. Prof Wainwright said: “The important thing is that we have a ceremonial monument here that is earlier than the passage grave. “We have obviously got a very important person who may have been responsible for the impetus for these stones to be transported.